Home / Woodworking Articles / Is It Time to Replace Your Collet Chuck? The job of your collet chuck is to hold your bit in place, acting as a sleeve or collar to minimize vibrations and keep your bit steady as you work. Like other types of chucks, collets occasionally need to be replaced. There are a few tell-tale signs that it’s time to start looking for a new collet for your rig. Why Do Collets Wear Out? As with anything that has continuous metal-on-metal contact, collets wear out over time – it’s not necessarily indicative of failure on your part. Improper maintenance can, however, contribute to a sooner-than-expected collet failure. Routinely remove pitch and dust from your collet with a rag dampened with cleaning solution. A nylon or brass-bristle brush can collect minute particles in close areas. When you clean your collet, inspect it for scratches, dings, abrasion, and damage. If necessary, use a bronze cleaning brush, #0000 steel wool or a synthetic scouring pad to remove burrs, nicks or scratches from the collet to increase its lifespan. The biggest giveaway that it’s time to invest in a new collet chuck is that it’s just not gripping your bit as tightly as it used to or should be. If you tighten your collet every which way and still can’t get a good grip on your bit, it’s time for a new one. Tightening a collet without a bit in place can lead to premature collet failure and loosening, so avoid doing that whenever possible. Like any piece of equipment that you move to adjust or readjust, it may be time for a replacement if you’re having a hard time getting your collet to move when you want it to. Stripped internal threading can make it hard to tighten a collet, while corroded or gummed up threads make it hard to remove or loosen your collet. Once removed from your router, inspect your collet for wear and tear. If a visual inspection reveals that it’s seen better days, get yourself a new one. Some people are harder on their equipment than others. If your collet is banged up, has a lot of dings or is visibly a different shape than it should be, it’s time to invest in a new one. Misshapen or malformed collets can be difficult to get off your router, so don’t place it back on once you’ve removed it. This seems like a no-brainer, but collets are not universal. If you’ve got a new router to try out or a new bit to play with, make sure your current collet chuck is compatible before using it. While some collets are interchangeable across certain routers, it’s best to check your owner’s manual or the manufacturer’s recommendations before trying to swap collets between setups. When in doubt, grab a new collet for your new router. With regular cleaning, care, and maintenance you won’t need to replace your collet chuck often. If you’re experiencing a lot of vibration during your project or an increased run off, it may be time to replace your collet, though. 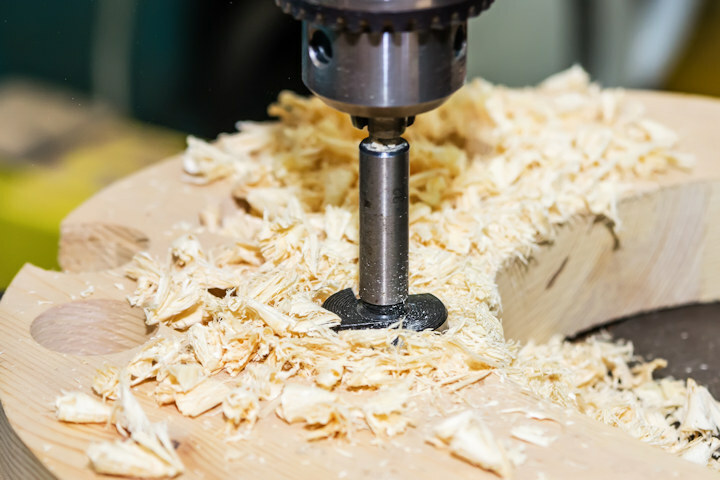 Similarly, if you’ve invested in a new router or bit set, you may need to buy a new collet rather than swapping out your old one. How often do you replace your collets?